I devised a small experiment hypothesizing that the temperature readings taken from a probe taped to the outside of a fermentor and readings from a probe inside a thermowell would be different, as I have read, but no dice. Both probes read the same temp all six times I checked them, from yeast pitching to near terminal gravity of these two lagers. 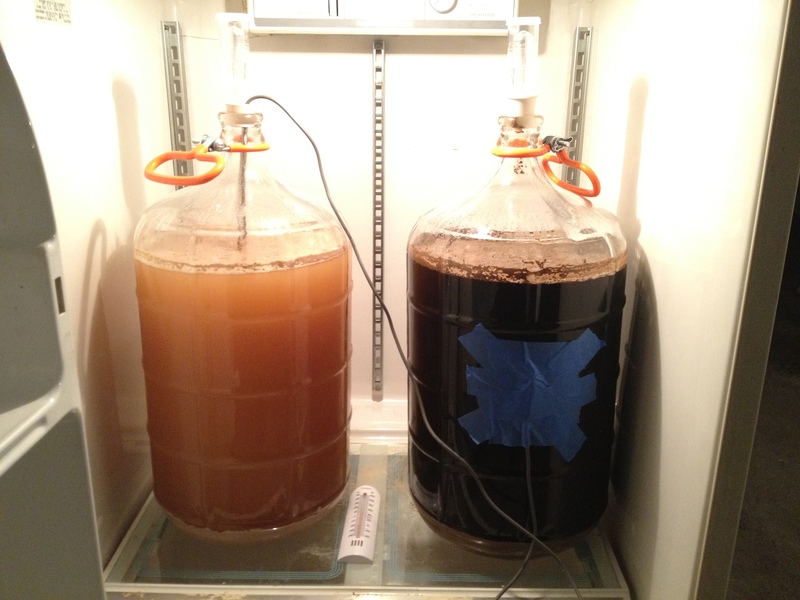 The picture shows the two ranco digital temp controllers attached in different ways to two different 6 gal carboys in a fridge. Only one controls the fridge (thermowell with probe inside of the beer on left). It was an interesting idea that didn’t lead to much, except some (hopefully) tasty lagers.